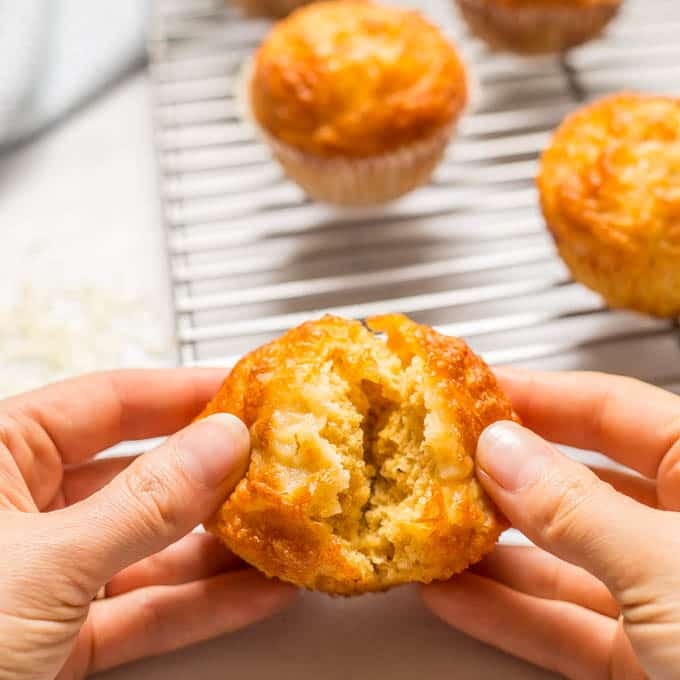 Easy cheesy cornbread muffins are whole wheat, naturally sweetened and made in just one bowl! They go great with soups and chili for a yummy dinner and can also be packed in a school lunch box! This post is sponsored by Horizon Organic. As always, all thoughts and opinions are my own. We also took the kiddos to their first NFL game and they LOVED it! Of course, I gave in and let them have some stadium food… normally, I’m a big NO on anything junk food or processed. And definitely no fast food. The Panthers lost the game, but it was still a really good time! Aaaaannnnddd… since Friday, we are now officially into FALL! Do you know what goes great with all those warm, comforting fall and winter dishes? And how do you make it super easy and super fast? Seriously though, we make these ALL the time! Cornbread is a long-time Southern favorite and I know plenty of families who grew up having cornbread almost every night. Cause it’s so easy and so fast. 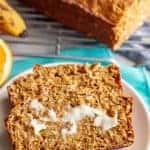 It’s whole grain, naturally sweetened and just enough butter to bring out the richness. Plus cheese to up the flavor so we don’t have any dry, crumbly cornbread. That’s never fun. 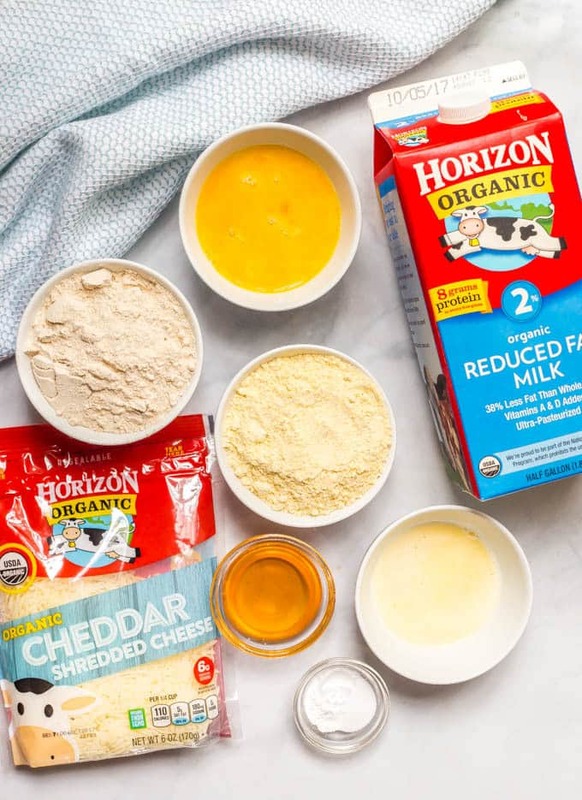 And I’m thrilled today to be partnering with Horizon Organic, who is committed to tasty, delicious products that kids love and moms feel good about! 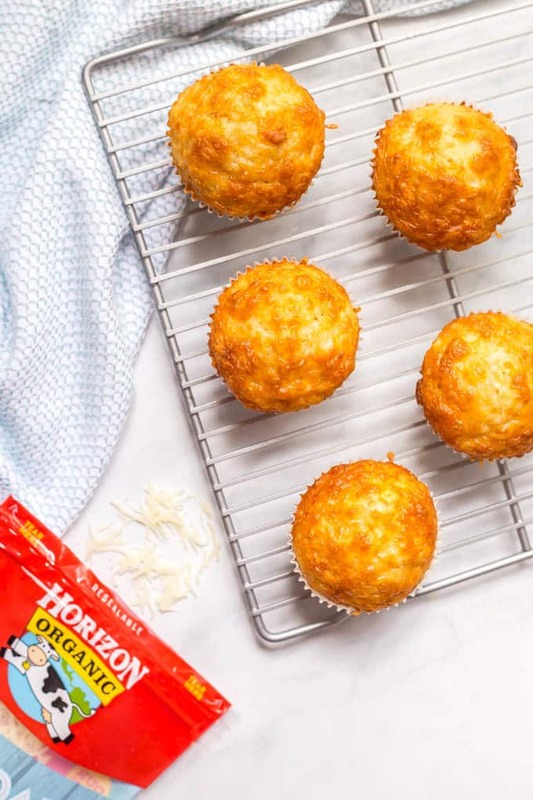 You may know by now that it’s ALL I use (because cheese comes from milk and therefore should be white and not artificially made orange) and so those bags from Horizon Organic are a great go-to when I want some pre-shredded cheese on hand in the fridge for sprinkling on, you know, EVERYTHING! 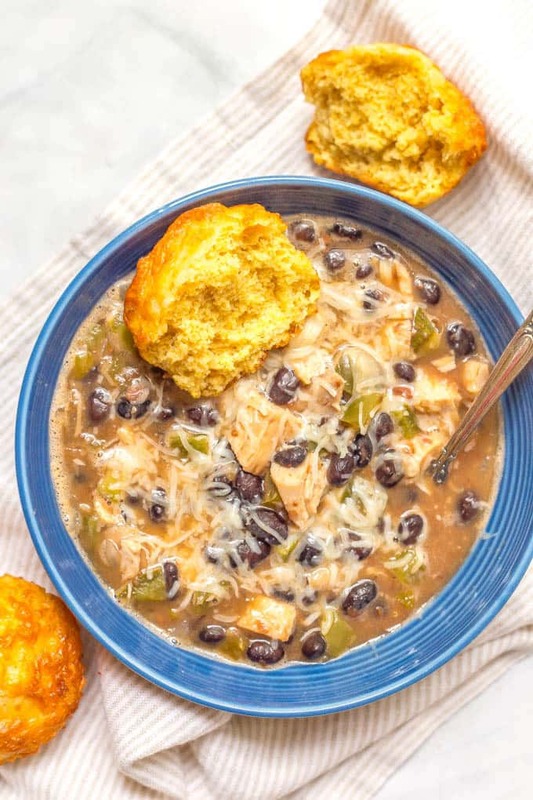 We eat these cheesy cornbread muffins with our soups and chili of course — white turkey chili and pumpkin white bean chili are long-time favorites and hobo stew is great with these too. 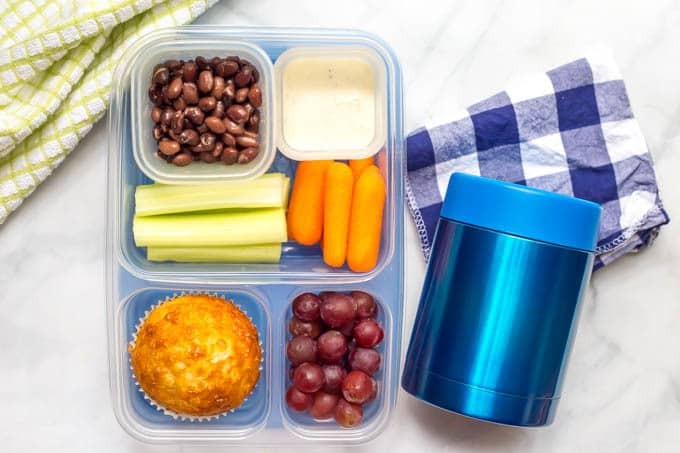 But the kids also love getting these in their lunch box! 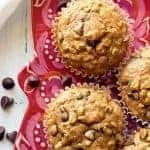 I used 2% milk, since that’s what we have for my son to drink, but you can also make these with 1% or skim, or use your favorite milk substitute. I use yellow cornmeal but you could substitute white. And I always use white whole wheat flour but all-purpose would work here too in a 1:1 ratio. 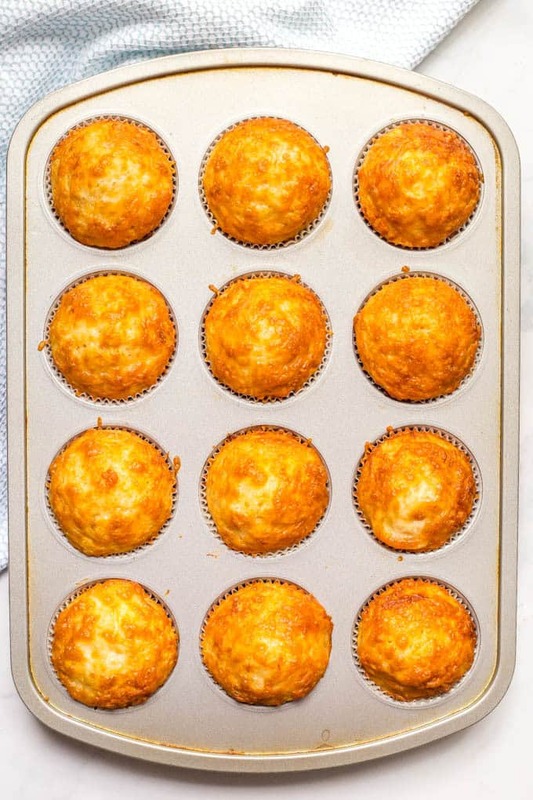 We make ours mild but if you want a spicy cornbread muffin you could add 1/4 teaspoon cayenne pepper in with the dry ingredients OR add a finely chopped jalapeño to the batter with the wet ingredients and/or use a Pepper Jack shredded cheese. 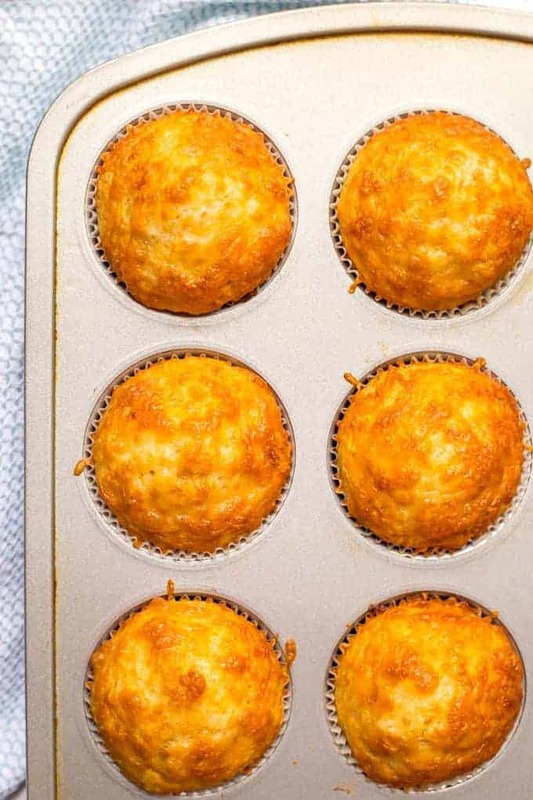 Finally, you can also make this as regular cornbread instead of muffins. Use an 8×8 inch pan and bake the cornbread in the oven at 425 degrees for 22-26 minutes, until a toothpick inserted in the middle comes out clean. Mmm, I think I’m ready to make some more already! Be sure to check out my fun new VIDEO for this recipe! 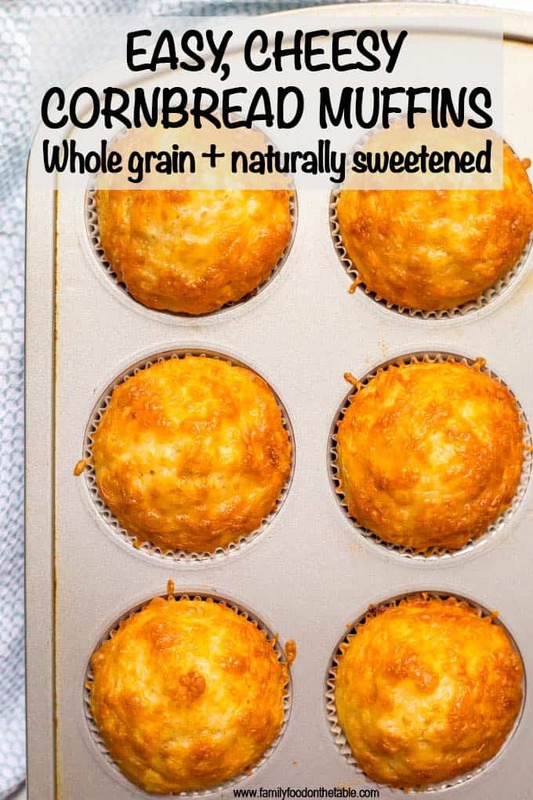 Easy cheesy cornbread muffins are whole wheat, naturally sweetened and made in just one bowl! Preheat the oven to 425. 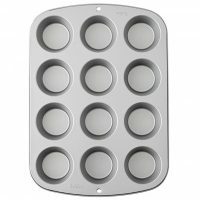 Line a muffin tin with paper liners and spray with cooking spray. 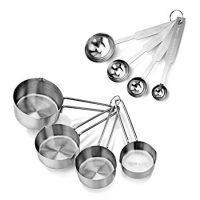 In a large bowl, mix together the cornmeal, flour, baking powder, baking soda and salt. Make a well in the middle of the dry ingredients. Into the well, add the milk, eggs, butter and honey. Mix the wet ingredients together in the well and then mix in with the dry ingredients until just combined. Add 1 cup of the cheddar cheese and corn, if using, and fold into the batter. Divide batter evenly among muffin cups, filling about 2/3 full. 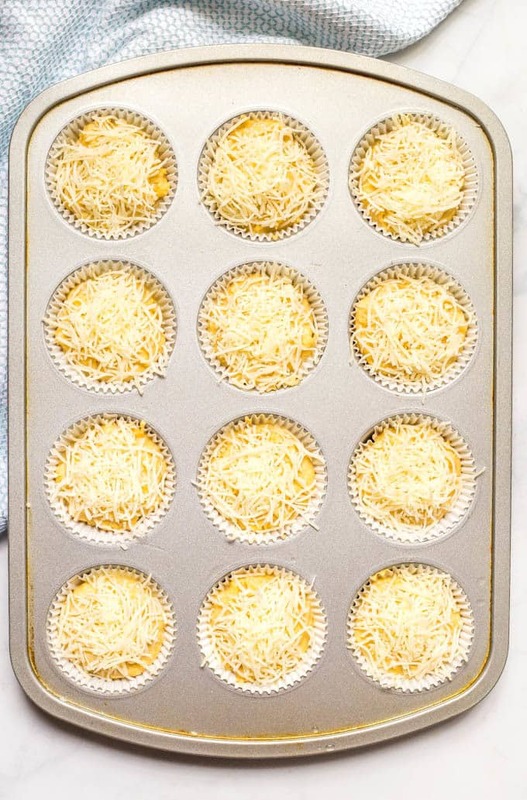 Top each muffin with a pinch of the remaining cheddar cheese. Bake at 425 for 11-13 minutes, until the tops are golden brown and a toothpick inserted into the middle of a muffin comes out clean. 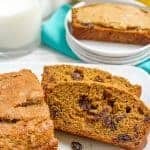 I use 2% milk, but you can also make these with 1% or skim, or use your favorite milk substitute. 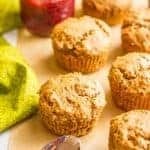 If you want a spicy cornbread muffin you could add 1/4 teaspoon cayenne pepper in with the dry ingredients OR add a finely chopped jalapeño to the batter with the wet ingredients and/or use a Mexican blend or Pepper Jack cheese. 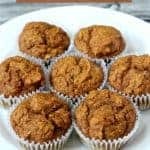 You can also make this as regular cornbread instead of muffins. Use an 8x8 inch pan and bake at 425 for 22-26 minutes, until a toothpick inserted in the middle comes out clean. I 100% agree!! I am SO ready for soups! I have never made cornbread. I guess it’s not that big in Canada. But I would love to try it! You must try it Cathleen! SO delicious! These look perfect! I can only imagine how tasty they’d be with a side of chili on a cold night! A great kid-friendly recipe that grown-ups will love too! 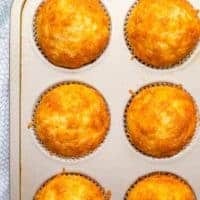 I gotta try these cheesy cornbread muffins! Thanks for sharing!! Thanks Jocelyn! I hope you love them! Love that these are cheesy! I will have to try them. Thanks so much Serena! I hope you love them as much as we do! These sound amazing! 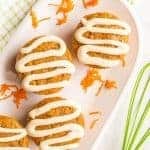 I can’t wait to try making this recipe! Yay, I hope you do Carolyn! Honestly these are pretty bland. Will not make again. 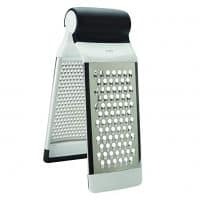 Can’t even taste the cheese, dry feeling in the mouth. Maybe just need to be dipped in chili or something w more flavor. I’m sorry to hear you didn’t enjoy these Sarah, I know that’s disappointing. I do usually serve them with chili, but my kids happily devour them alone as well and love them. I wonder if the oven temperature or cook time was the issue and they got dried out – it can vary so much from oven to oven.